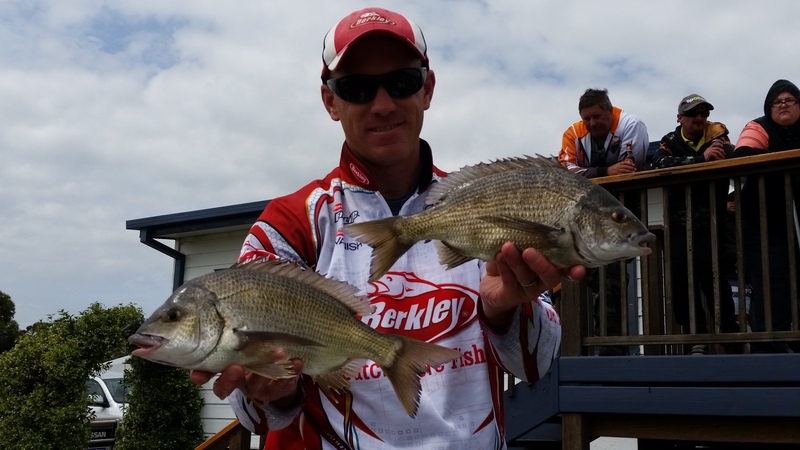 The VicBream Classic grand final was held on the Snowy River at Marlo, a system that is quite new to the Victorian team series and one that I haven’t spent any time on outside of the 2 tournament held there. The 2016 series has been a successful year for Team Berkley (Brad and Mike Hodges), we fished 4 out of 5 rounds and finished 3rd three times and came 2nd in Team of the year. With a restricted 4 hour time limit for prefish we had plans to fish Lake Corringle however we were greeted with extremely strong winds which meant the shallow lake was almost unfishable and somewhat dangerous for a smallish boat like ours. We tried a handful of spots in and around the rivers without even a bite, with only 30 minutes of prefish remaining we heading down the mouth and managed 2 bites converting one of them into a small 29cm bream. Our plan was simply to say the least – fish down the front. The simplicity of this plan meant we could just focus on catching the fish and not worry about where to go next or when to move. Things started slowly but as the tide dropped the fish became easier to target. We were throwing Berkley 3B puppydog in the 12 gauge colour at the drop offs and shallow flats, although the fishing was slow we started to land the odd fish and eventually compiled a 3kg bag. At the weigh in our 3.11kg looked to be about 1.5kg off the pace, that was until the incredible bag from Team Sad –Shane Barling and Dean Gamble hit and almost broke the scales weighing a massive 6.97kg. The weather conditions improved greatly on day 2 and this helped us hone in on the fish and present our lures with more finesse. We were getting more quality bites than the day before and with each upgrade we were heading towards a 5kg bag. Once again it was the 3B puppydog in 12 gauge that was producing the goods, my favourite rod and reel combination of Abu Garcia Salty Stage Light Casting 1-3kg rod and Abu Garcia Revo MGX20 provided the perfect match to make long casts and to impart an enticing action through flicks, twitches and pauses. 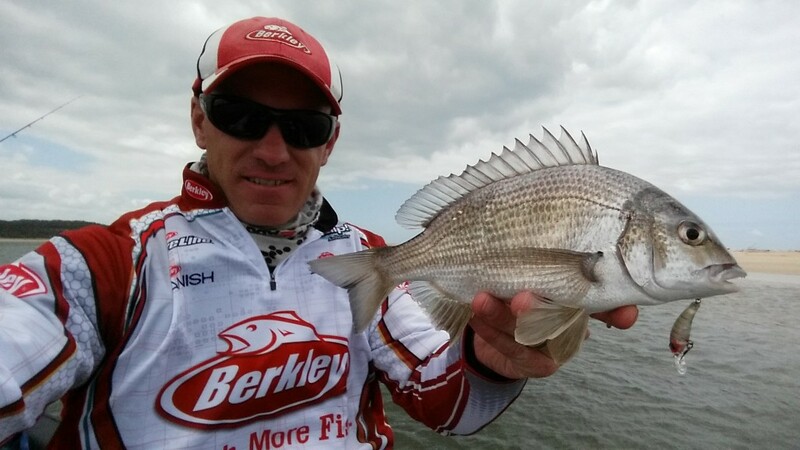 As the tide bottomed out we struggled to find that really big kicker fish that would have given us the slightest chance to challenge the lead. As it turned out the fish all over the system were biting more freely than the day before and numerous 4kg + bags were bought to the weigh in. We weighed the heaviest bag for day 2 at 5.40kg and climbed 9 spots to finish in 4th. It was great to see Team Sad bring back 5 fish and take the victory.